o'clock position. (B) Small labral tear. The tear was probed and found to be unstable, as shown herein. Both views are from the antero-lateral portal. H, head. FIGURE 14.10. Labral tear (T) debridement. The flap was debrided back to the acetabular rim, preserving the overlying normal labrum. Standard arthroscopic instrumentation can be used for these procedures, such as this aggressive meniscal shaver. View is from the anterolateral portal. H, head. FIGURE 14.11. 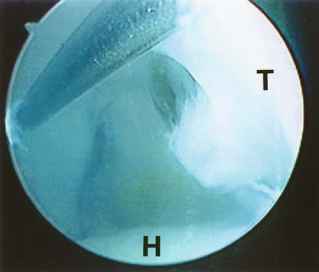 Large bucket-handle-type labral tear (T). 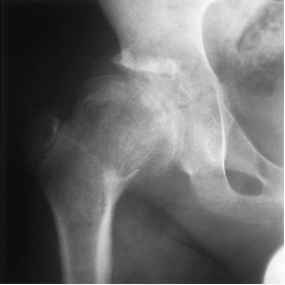 Mechanical symptoms can herald significant intraarticular pathology, such as this unstable tear of the acetabular labrum. The tear extends from the 11 o'clock position (under the tip of the instrument) to the 3 o'clock position, with a large flap extruding into the joint. View is from the anterolateral portal. H, head. FIGURE 14.12. 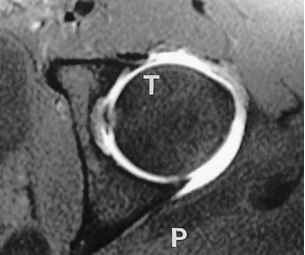 Axial MRI demonstrating a small labral tear (T). MRI with arthrogram, as shown here, is thought to be very sensitive for labral pathology. 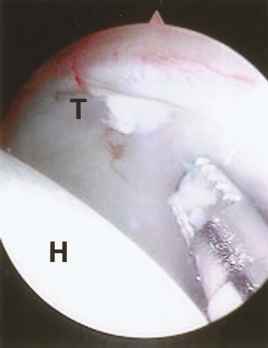 A small radial-type tear of the anterior labrum is denoted by thinning of the rim of the anterior acetabu-lar labrum, losing its distinct black margin. P, posterior. coxa magna, and with a possible defect in the center of the femoral head (Figure 14.14). He underwent arthroscopic resection of a frayed labrum and debridement of degenerative cartilage (Figure 14.15A,B). 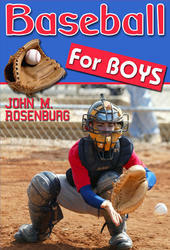 At follow-up, he has returned to school, no longer requires narcotic pain medication, and has resumed playing basketball, soccer, and baseball. FIGURE 14.14. LCP disease. Preoperative radiograph of the hip reveals findings of coxa magna and a sclerotic nidus thought to be a loose body. With mechanical symptoms and pain requiring narcotic medications, the patient was thought to be a good candidate for ar-throscopic surgery. activity-related hip pain. MRI evaluation demonstrated a central OCD that was thought to be unstable (Figure 14.17A). He underwent arthroscopic surgery, at which time a large loose body was noted and removed (Figure 14.17B). The donor site was debrided with an arthroscopic bur. Six months postoperatively, he has returned to playing competitive basketball in a local league.